Our footrests are entirely produced in Baden-Württemberg! 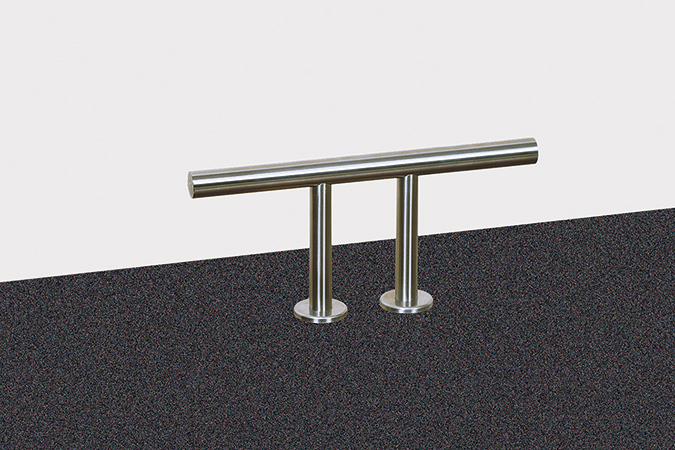 made from polished stainless steel, tube diameter 30 mm, width 400 mm or 500 mm depending on the model, suitable for wall or floor mounting Atrium footrest element, made from stainless steel plate 400 mm x 300 mm with variable wall clearance. made from polished stainless steel, tube diameter 35 mm, width 485 mm or 650 mm depending on the model. This model is only suitable for front wall installation, mounting from the front is possible with a conversion kit. with base plate, made from 560 mm x 280 mm stainless steel plate with 485 mm Forum footrest. 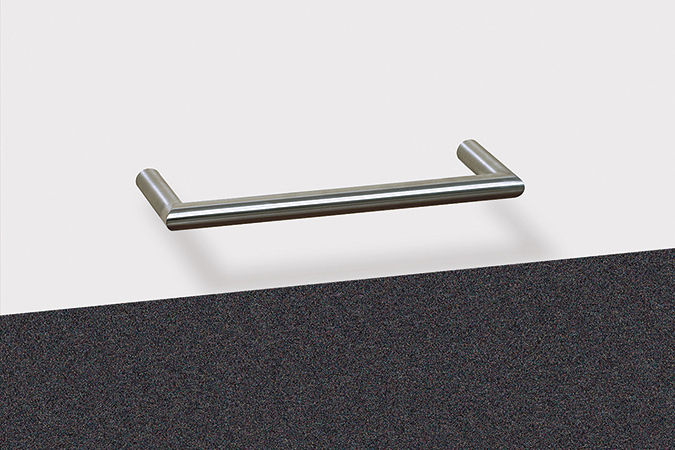 Forum footrest with wall covering, made from 560 mm x 280 mm stainless steel plate for wall mounting with 485 mm Forum footrest.